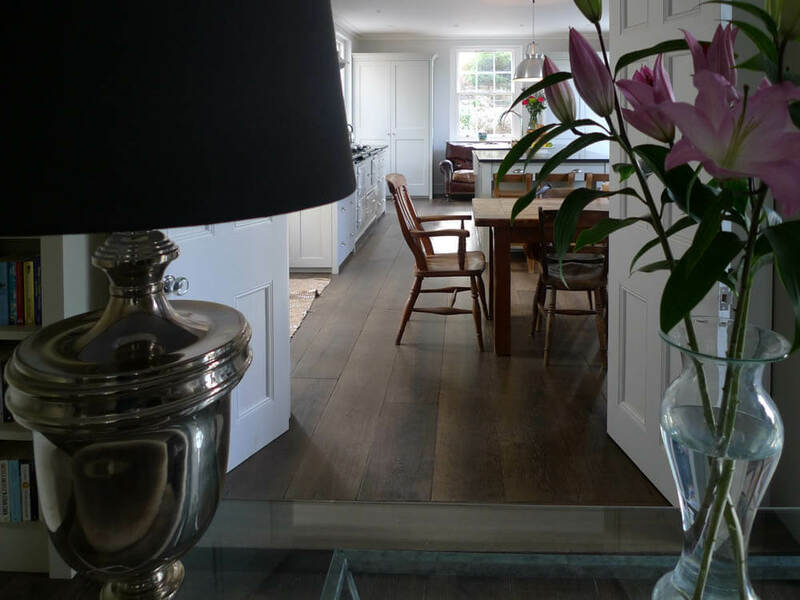 The owners of this beautifully restored Georgian house in Somerset are always delighted when someone comments on how wonderful their original oak flooring looks. 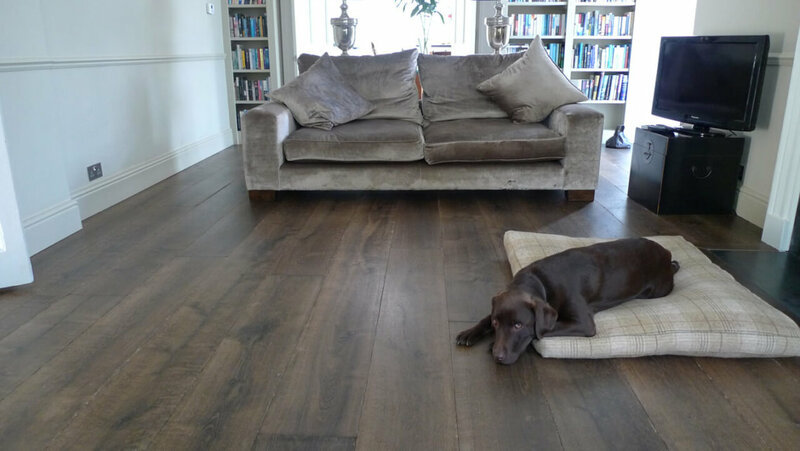 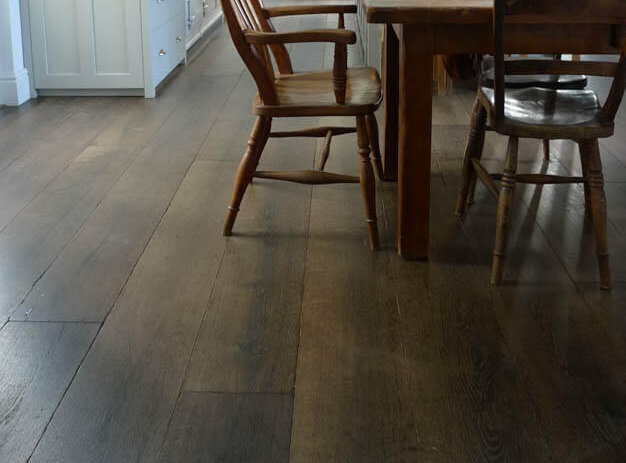 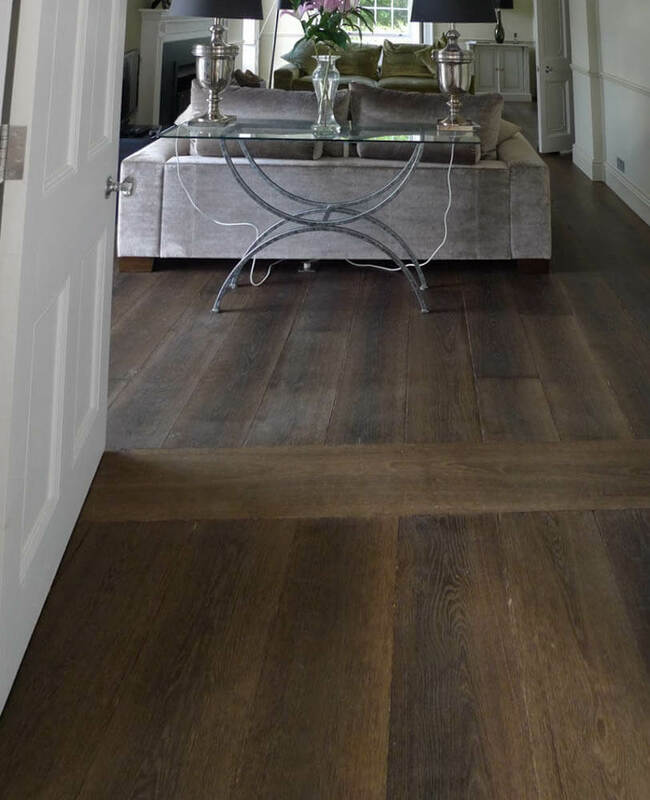 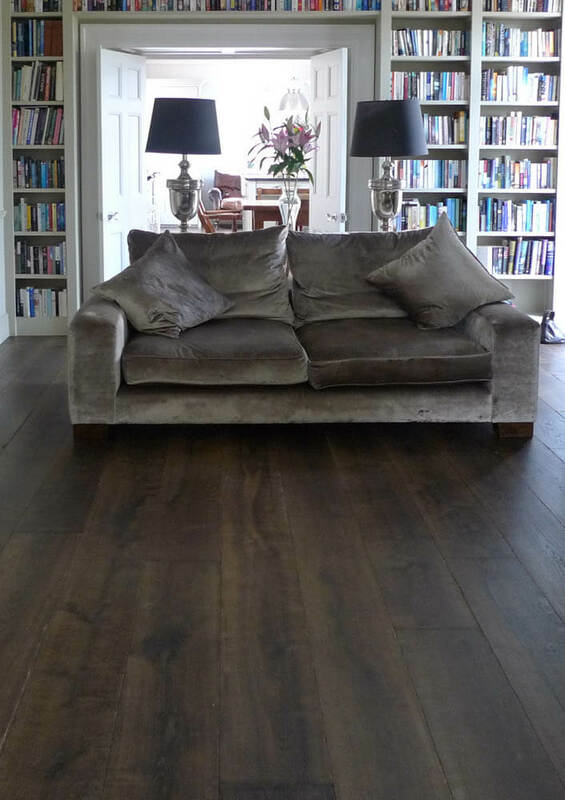 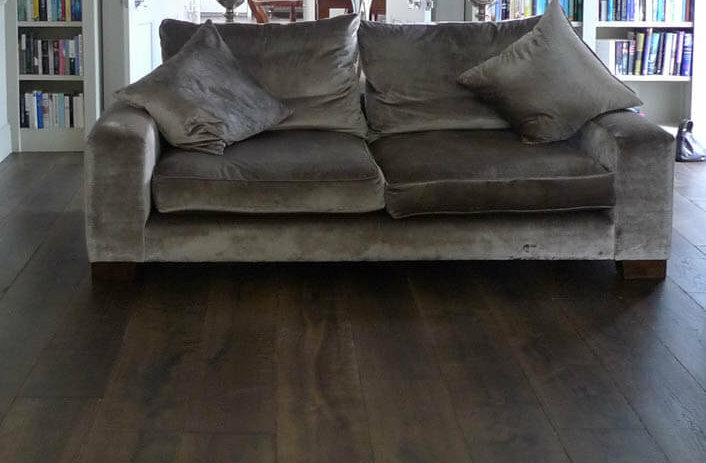 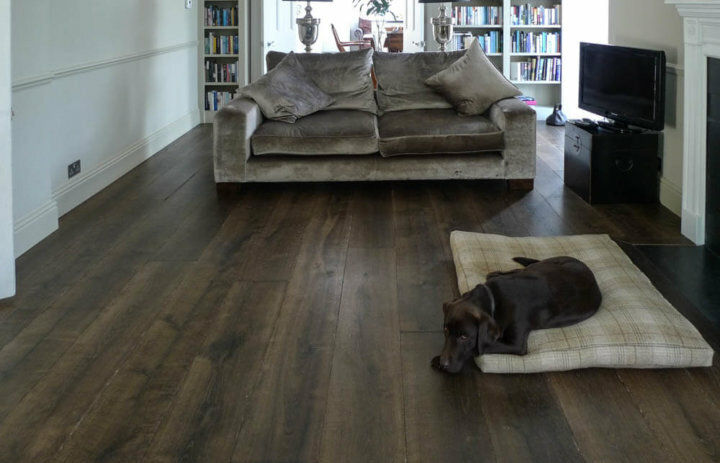 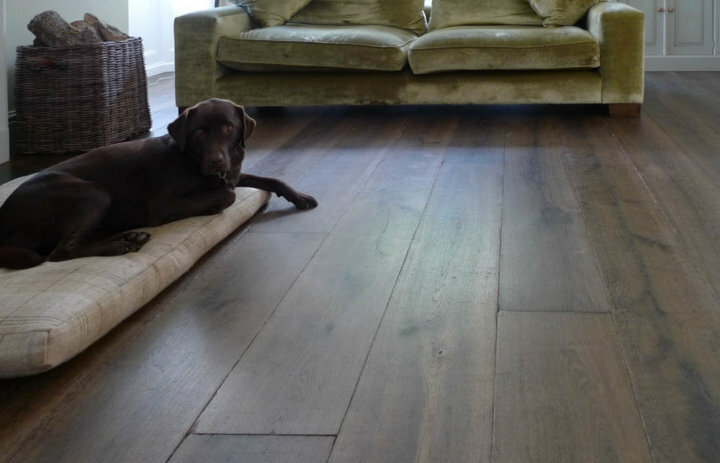 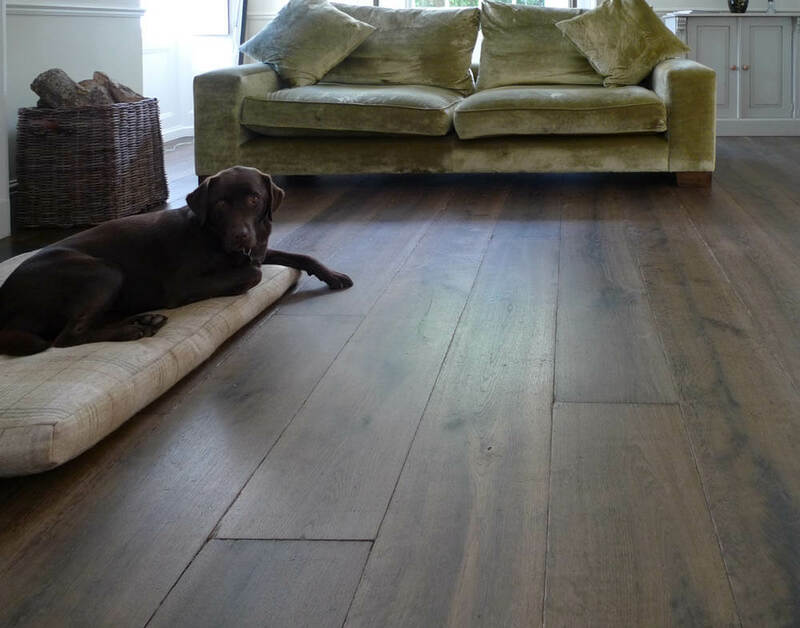 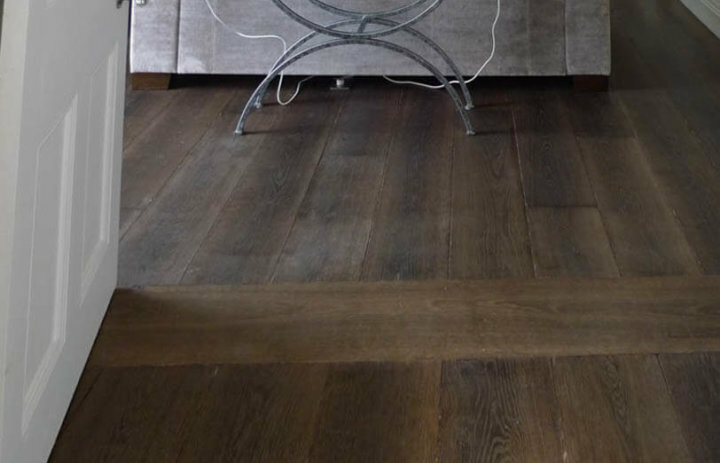 Of course, the flooring is not original – it’s Chauncey’s wonderful Antique Grey Aged Regency boards and has in fact only been in place for about a year! 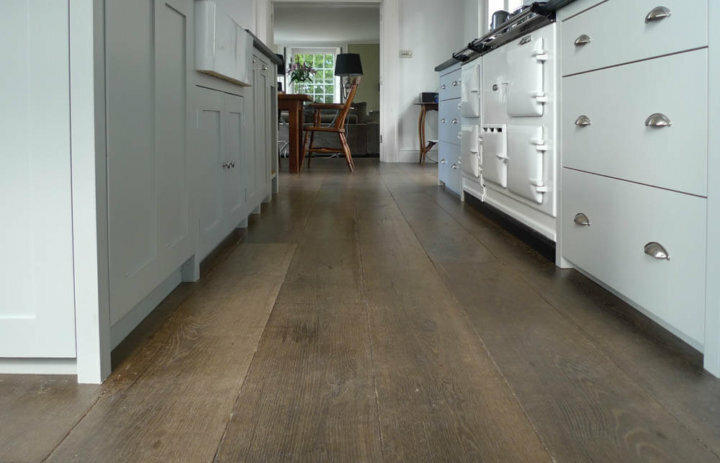 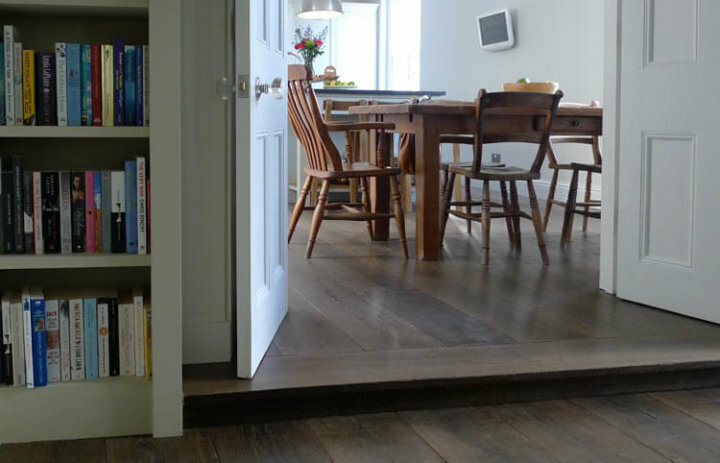 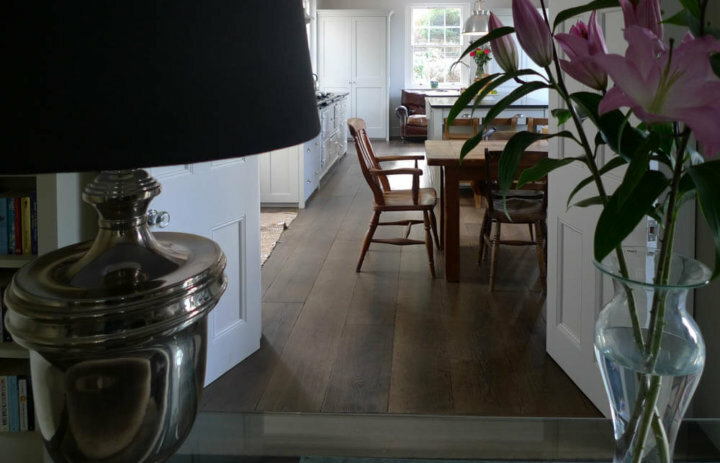 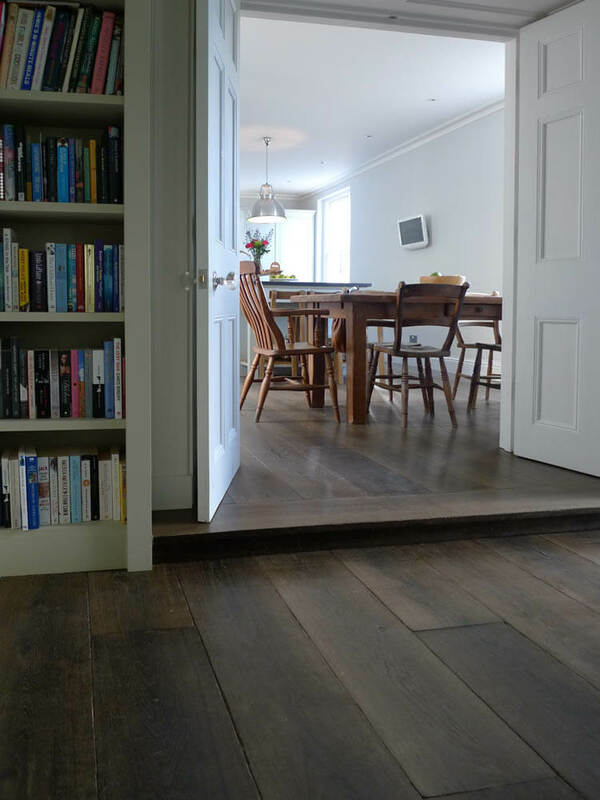 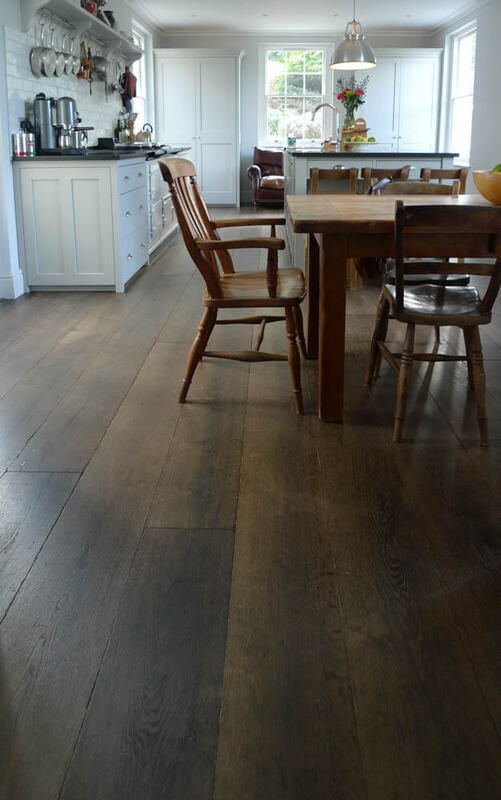 Underfloor heating runs throughout the kitchen and the sitting room and so the engineered version of Regency flooring was used – all in wide 250mm size. 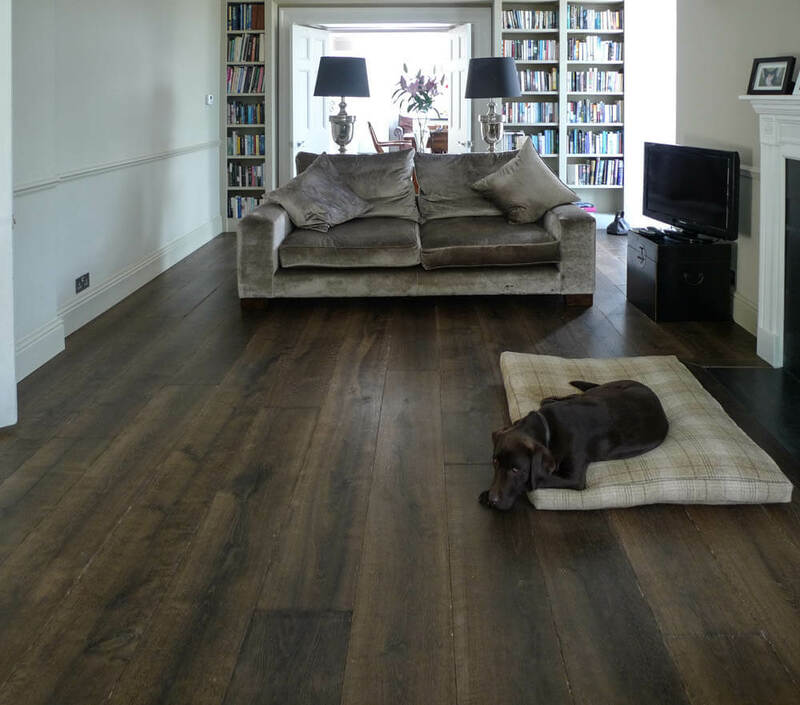 By using clear matt Treatex hardwax oil over the special Regency finish, the boards take on a rich deep colour. 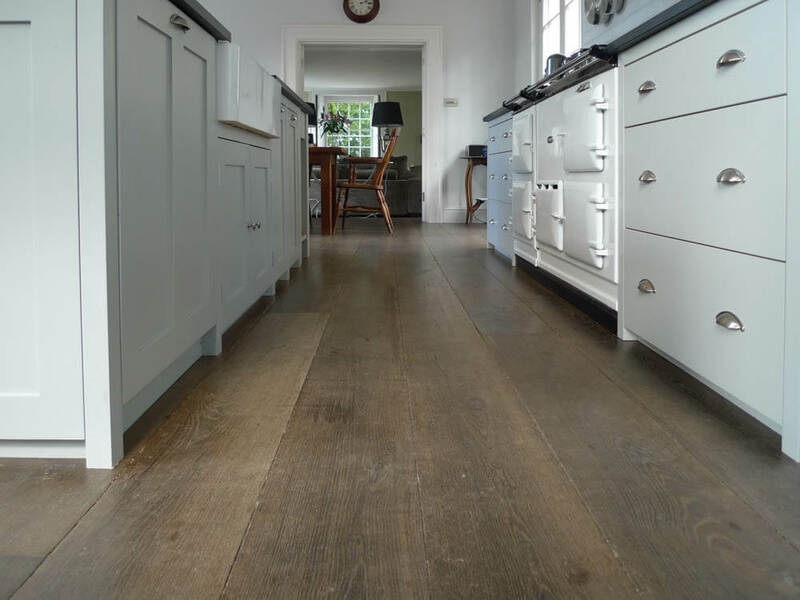 Hand Made kitchen: Phil Clark: philclarkcabinetmaker@yahoo.co.uk .